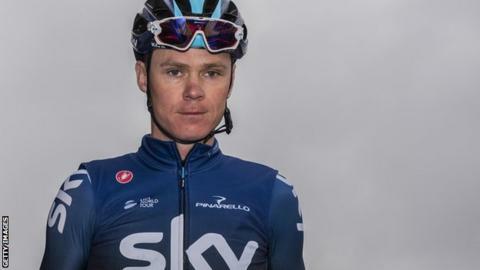 Four-time Tour de France winner Chris Froome will step up his preparations for the 2019 race at this month's Tour of the Alps. Froome is joined in the field by Italian Vincenzo Nibali for the five-day race that begins on 22 April. The 33-year-old has raced only twice so far this season, finishing 91st and 94th at the Tour of Colombia and Tour of Catalonia respectively. He withdrew from February's UAE Tour. This will be the final stage race for Team Sky with their current sponsor. Ineos, a chemicals firm owned by Britain's richest man Sir Jim Ratcliffe, takes over on 1 May. Froome's Team Sky team-mate and current Tour de France champion Geraint Thomas is the only previous British winner of the Tour of the Alps, his victory coming in 2017. This year's Tour de France begins in Brussels on 6 July.